With a new design, chipset and improved feature set, Samsung's Galaxy S8 is an all-round winner. Almost. After a long, twisted and explosive affair with its Galaxy Note 7, Samsung is back in the flagship smartphone scene with its Galaxy S8. The smartphone was announced in India on 19 April at a price tag of Rs 57,900 with pre-orders beginning the same day, while the device goes on sale in stores and online from 5 May. I received the review unit two days after launch and have had plenty of time to go through its feature list. Being a Samsung phone, there were some gimmicks of course, but there were a number of useful features as well. After seeing success with the Galaxy S3, Samsung hit a rather rough patch, but that was mostly Samsung's fault. Some rather odd design decisions and a lack of innovation hurt them. It wasn't until the stellar Galaxy S7 and S7 edge last year, that Samsung really proved its worth. The Note 7, if it wouldn't have exploded so frequently, would have further cemented Samsung's stature as a flagship device maker. The S7 was a great device and apart from the rear camera, there wasn't much to complain about with regards to the performance and design. The fresh design, with its curved edges gave Samsung something to talk about. A phone that could bear the title of "flagship" with pride and hold its own with, and even surpass, the best in the industry. In fact, the launch of the S7 and S7 Edge saw Samsung hit its highest earnings in years. The devices did, in fact, start eating into Apple's marketshare in the US. The Note 7 of course, ruined everything. To add to Samsung's woes, the unstoppable force that is the mighty Google came up with the Pixel and Pixel XL smartphones. These smartphones featured a premium build (thanks to HTC), and packed in stock Android with a few customisations. While Google was looking to take on Apple, little did it know that it had crushed Samsung (and many others) along the way with what many termed as “Android perfection”. Thankfully for Samsung, issues with availability kept the Pixel from truly achieving its potential. On 29 March 2017, Samsung finally came out with a counter, and what a counter it was: The Samsung Galaxy S8. It wowed audiences and critics alike and suddenly, Samsung was back! In one fell swoop, it seemed like Samsung casually brushed aside competition from other Android smartphone makers, one-upped Apple in the design department and moved on from the Note 7 fiasco. But did it really? Let's find out. Yes, this one makes a really good first impression. 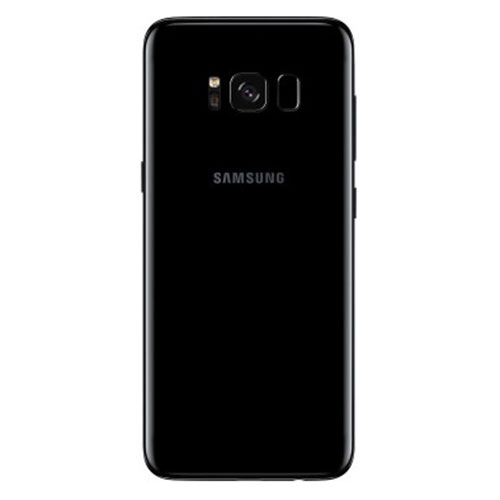 While I had a clear cut picture in mind as to what the Samsung Galaxy S8 looked like, thanks to numerous leaks, I did expect it to be similar to the S7 edge in more ways than one. At the launch in India, that impression changed. As a person who loves to get into the details of design and examine every single cut, curve and edge closely, it was hard for me to point out a single flaw from what I would call a masterpiece from Samsung in terms of smartphone design. It is beautiful. It will blow you away, and as delicate as it may seem, it is also IP68 dust and water resistant. Samsung seems to have done the impossible and built a device with display that covers about 83 percent of the front face. The aspect ratio of the display is unusual at 18.5:9, but it looks stunning and seamless as it bends over the edges. In fact, I think this is the first smartphone that has more similarities to an elegant timepiece than it does to a smartphone. Which is why it will attract its own set of buyers, those that will want to flaunt this beauty as an accessory and not accessorize it with a case no matter how fragile it may appear. Thanks to that tall Infinity Display, the device is feels long with a smaller waistline, which makes it easy to hold and makes you forget that you are in fact holding a smartphone with a 5.8-inch display. Despite its unchanging design, Apple was the gold standard in design for the past couple of years. I can now safely say that Samsung’s stolen that crown – until the iPhone 8 arrives anyway. This is the first smartphone I've seen that can easily make an iPhone 7 looks aged and outdated. The quality, fit and finish are top class. We received a Maple Gold unit. If you have read my reviews in the past, you'll note that I’m not a fan of the usual Gold finish on smartphones, but this one is more like a brown chromed finish so I had no issues flaunting it. The construction is simple. There’s a metal frame in the middle that is sandwiched by two pieces of Corning’s Gorilla Glass 5 with curved edges on the left and right sides. It is rounded at the corners and practically everywhere else as well. The metal and glass meet in a seamless manner, very unlike the S6 edge and the S7 edge models of the past. The ports at the bottom are squeezed in so that the socket of the headphone jack and the speaker grille do not scratch your pinky, like it does on every other smartphone out there. In short, the S8 feels comfortable to hold and the thin waistline along with the narrow body lets you get a good grasp from edge to edge. While the design was brilliant, everyday usability saw a couple of problems. With all that I have said above, I must admit that this beautifully rounded glass design is slippery. I’m not clumsy when it comes to using smartphones, but this one managed to slip out of my hand on plenty of occasions. Luckily, it did not fall to ground on any one of those occasions. Since it's encased in glass, I was afraid that the S8 would get scratched easily, but so far, with daily usage, there have been none. There is no way to verify whether it will or will not withstand a drop, but several tests by YouTubers hint that it cannot. The back glass is Gorilla Glass as well, but it's thinner than on the display, making it more vulnerable to drops. Add to this that smudgy, grime-laden mess that the glass becomes every few hours. One that you will have to wipe off to keep this accessory clean. Thankfully, unlike the polished aluminium on the Jet Black iPhone 7 this back is made of glass and it does not get scratched easily, whether you rub it on a handkerchief or your dusty jeans. To conclude, all I can say is that beauty always comes at a price. The Indian variant of the Samsung Galaxy S8 packs in Samsung’s very own Exynos 8895 chipset. The chipset packs in eight cores with 4 clocked at 2.35 GHz and the other 4 clocked at 1.7 GHz. You get a Mali-G71 MP20 to handle the graphics. The chipset is paired with 4 GB of RAM and 64 GB of internal storage, that is expandable up to 256 GB using a microSD card slot (hybrid SIM setup). To those complaining that it doesn't have more RAM, do bear in mind that few devices can actually use that much RAM in the first place. As you'll see in the performance section, RAM is not a limiting factor. The display is a 5.8-inch QHD+ (1440 x 2960 pixels) unit delivering a stunning 570 PPI pixel density. It is covered with a layer of Corning’s Gorilla Glass 5 and features a body to screen ratio of 83.6 percent. On the front you will also find an iris scanner and an 8 MP camera with an f/1.7 aperture and autofocus. The primary camera boasts of a 12 MP sensor with an f/1.7 aperture featuring Samsung’s dual pixel technology. The handset features Android 7.0 Nougat and comes with Samsung’s TouchWiz Experience version 8.1. On the connectivity front, owners will get Wi-Fi 802.11 a/b/g/n/ac (direct and hotspot), Bluetooth 5.0, GPS, NFC and a USB 3.1, Type C 1.0 reversible connector at the bottom. The handset is powered by a 3,000 mAh battery and packs in support for quick charging. Coming to the biometric security options, you get an iris scanner, a fingerprint reader (rear-mounted), facial recognition and the usual pattern and PIN lock security options. Of these, only two biometric security features can be enabled at a time. The handset weighs in at 155 gms. 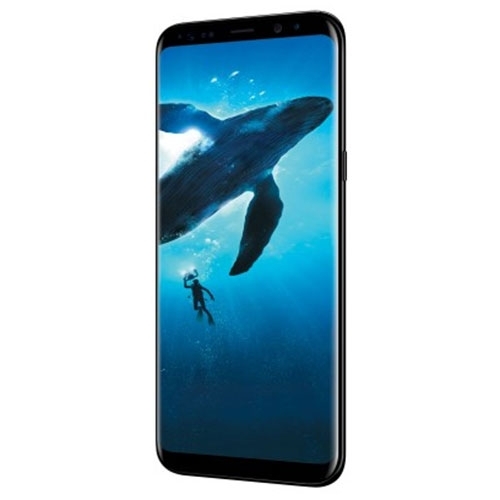 The Samsung Galaxy S8 features a 5.8-inch QHD+ Super Amoled display that Samsung has branded as an Infinity display. From the front, it lives up to its name, and makes the smartphone look more like a thin frame, especially when the camera is switched on, when it literally seems like you're looking through a window. Sadly though, Samsung could have used better default wallpapers to showcase the screen's colour rendition. The default wallpapers look dull and boring and come with flat textures that do not even match the sharpness levels that the display is capable of. I really have no complaints about the display. It is bright where its supposed to be and the adaptive colour mode always ensures that you see the right colours, whether you are standing in the sunlight or in a dimly lit restaurant setting. At 570 PPI, it’s sharp and despite its pentile matrix, does a good job at keeping pixelation at bay, no matter how small you set the text size to. A pentile matrix is a lower density display than a traditional RGB one. This is because 2 sub-pixels are used to render a pixel instead of three, as in the case of RGB. While an RGB pixel consists of red, green and blue subpixels, a pentile pixel consists of either a red and a green subpixel or a blue and a green one. The logic behind the design is that our eyes will not notice that there a smaller number of blue pixels. The high overall resolution of Samsung's display takes care of any loss of resolution resulting from the use of a pentile matrix, and Samsung does claim that a pentile matrix lasts longer. Coming to the red-tint issue that some users are said to be facing in other markets, the display on my unit seemed to be calibrated fine and showcased no noticeable red-tint as shown in the images that surfaced from the Korean media soon after launch. Samsung has an advanced mode in Settings>Display>Screen mode that let me tune the colour balance to my liking anyway. I left it to the default as I did not want to fidget with what I felt was the ideal setting for colour balance. After a recent software update which rolled out to users in India on 1 May, Samsung added an additional easy to use slider for under Full screen colour balance that let me slide a simple scrubber to my liking. Users can choose to move the scrubber left or right for cold or warm colours, or leave it at the centre, which is the default setting. Another feature on the Samsung Galaxy S8 is the Always On Display (AOD). It has been improved since its last appearance on the Galaxy S7, and can now showcase more details and is customisable. Personally, I found it rather useful with the calendar clock style on. Unlike the past, the AOD does not eat up too much of your battery life. I found little difference in battery drain between keeping it on or switching it off. The graphics keep shifting ever so slightly to avoid pixel burn and this applies to the home button icon at the bottom end of the display as well. What I did not like about the display was that its curved edges are reflective and will eat into your immersive experience (whether its gaming or movies), when held horizontally. This would not have been much of an issue if the display was broader, but now that it is narrow, I would have been happier if the display itself did not curve so much. Samsung did not send across their Galaxy S8+ for testing. But from my limited hands on usage at the Samsung Galaxy S8+ launch in India, I was happier with the S8+ model simply because the display was spacious and did not feel as cramped when held both horizontally for gaming and vertically when using the on-screen keyboard. So if you are a power user and want to game or edit stuff, I would recommend the S8+ over the S8. While the curved edge Infinity display looks fantastic on the shelf, its usability is rather limited. 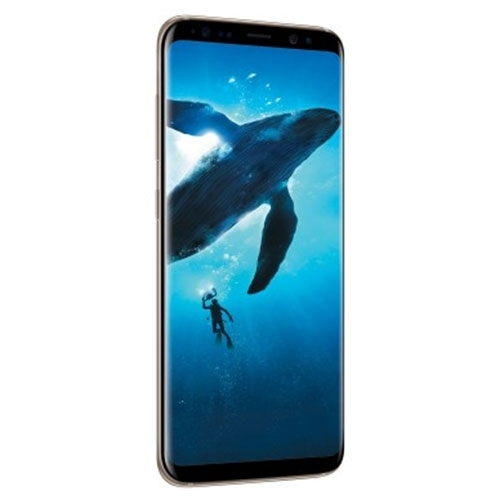 I would have been happier with a flat, edge-to-edge display with millimetre thin bezels instead of curved one that makes the curved edges, despite the edge features a gimmick. Keeping in mind how polished the physical design of the Galaxy S8 was, I expected plenty more improvements inside at the software level. Samsung has worked on TouchWiz and offers Android 7.0 Nougat as the base. Samsung this year seems to have reduced bloat, added some refreshed iconography that works well with its design philosophy and even given the entire software interface a coat of white, which makes it look neat and spartan. I love the edge expansion mode for apps, where I could literally set every app to stretch to the entire display instead of showing the black bars at the top and the bottom. The software would remember the state of every app and would always launch in that mode, which did not make me feel like an early adopter of taller displays. While I would have loved to say that these the software is vastly improved, it hasn't. Pre-book Now & Get a Wireless Charger? No. Thank you! The setup process itself takes quite a while and Samsung will throw ads to buy other Samsung products in your notifications bar once you have signed up for an account. I was a Samsung Galaxy S3 owner in the past, so I did have an account set up which saved quite a bit of my time during setup. As for everyone else, there’s Google’s usual steps along with Samsung’s options and checkboxes to select from. Not a good sign. Samsung's Edge gestures and panels a year after the Galaxy S7 edge, still make little sense on the Galaxy S8. As simplified as Android would like it to be, TouchWiz is still complicated. And in part, it could be Samsung’s massive feature set to blame here. The settings for the Always On Display for example, is located not under Display but two taps (or layers) under Lock Screen and Security. I often ended up going to Settings>Display and then scrolled to the bottom, where thankfully Samsung has included a “Looking for something else?” section. Hopefully, a future version of TouchWiz starts with this and then guides you to the right setting. My best guess for this software Settings mess up would be the presence of Bixby, which will let you speak out the command directly. Unfortunately at the time of writing, Bixby cannot speak just yet. Coming to the all-important Bixby that Samsung focused on so heavily during the launch, it's nowhere close to what I expected it to be. Bixby at the moment cannot understand voice commands, and even if it did, it will still not be using the AI behind Samsung’s acquisition, VIV. Yes, Samsung according to CNET, Bixby will first work with Samsung’s own code and will, at a much later stage, be integrated into the VIV’s intelligence, which is capable of writing programs in milliseconds. At the moment, that Bixby button is pretty much useless and you are indeed better off with Google Assistant, which can get all those tasks and reminders handled a lot better. What I searched for. And the not so impressive results I got. Not happy with Bixby, I moved to Bixby Vision. Again this too was a limiting experience since Vision was not plugged into any “super-powerful AI”. It simply showed me search results and was oddly “powered by Pinterest” (sigh). At the moment, Bixby Vision can show you nothing apart from incorrect search results. You are better off with Goggles, Translate and other Google apps. Hopefully, with the upgraded version of Bixby, things should improve in the near future. But as a feature, Bixby already seems like a no show on day one. Dex was another hardware feature that I have covered in a separate article. Using a Rs 8,999 Dex cradle will basically give you a desktop interface for your smartphone with a bigger screen to make edits and other details in case your laptop got hauled away to another country (during an international flight) and all you have is the dock, donor keyboard and a donor mouse to work with. While the idea sounds impressive, there’s really no practical application for it unless you happen to have a keyboard, Samsung Dex cradle and mouse always handy in your back pack, and you have a display available, wherever you happen to be stranded. I suppose it's Samsung's hope that people will avoid buying PCs for home or office use and tote an S8 instead. Coming back to Samsung’s software, it was not as fast as I would have liked it to be. It is nowhere close to an iPhone 7 Plus or a Google Pixel XL when it comes to smoothness and the TouchWiz OS feels heavy as always. Another detail that Samsung fans and owners are probably used to by now are software updates. Samsung with all of its monies will always be 6 months behind the latest software that you will get on a Pixel or Pixel XL branded smartphone from Google. As with every Samsung Galaxy model in the past, the Exynos variants have always packed in top end specifications. This time around, as usual, Samsung beat Qualcomm’s offering in benchmarks, but its heavy software makes that difference only of academic interest. However, keeping raw performance in mind, it does come out on top of the Android flagship smartphones launched so far. While it still falls behind an Apple iPhone 7 Plus, Samsung’s true potential, for now, can only be witnessed when it comes to battery life (more of this in the battery section). Games run buttery smooth and I did not feel the need to tweak the smartphone’s performance in the Gaming app. Even upon switching to High Performance, the results, as expected, remained the same. What was impressive was the wide-screen gaming experience. You actually get to see a bit more on each side, whether it was the interiors of your car in Real Racing 3, an additional two zombies in Dead Trigger 2 and pretty much every other game I used by activating the Full-screen mode. Samsung does not crop the game, but will actually add more on each side. You can check out the same in the screenshots below. Real Racing 3 in standard gaming mode with black bars on the left and right. Real Racing 3 in Full screen gaming mode with a little more on each side. Dead Trigger 2 in standard gaming mode with black bars on the left and right. Dead Trigger 2 in full screen gaming mode with a little more of the walls visible on the left and right sides. Indeed, the performance offered by the new 10 nm chip is overkill and there was no gaming title out there that could make the smartphone heat up or stutter. The only time the smartphone heated up was when the camera app was turned on. It takes the Galaxy S8 just 2-3 minutes of idling with the viewfinder on to start warming up. Start recording Full HD 60 fps video and the heat levels touch a good 46 degrees on a hot summer afternoon. While the app did not shut down, the phone got hot enough to get me worried and switch off the camera app myself. To be very specific, it was the area around the chipset and the camera module that got pretty hot despite the heat pipes that Samsung has been using in the Galaxy S series since the S7. Call quality is great and I really have no complaints about the audio from the headphones and the speaker as well. This is a bit surprising as Samsung made the Galaxy S8 edge, IP68 dust and water resistant. The speaker output was loud and clear and good enough to fill a noisy office space as well. Audio quality using the packaged AKG-tuned headphones was a good experience. It delivered crystal clear audio and the S8's output was as capable as my daily driver, the iPhone 6s. Combined, the hardware does not go heavy on the bass but delivers just the right amount of it, for my taste anyway. Indeed, this was like listening to music the way it was meant to be. There’s plenty of customisations for the audio as well and Samsung will let you fine tune it to your liking. In short, the AKG-tuned headphones did leave us impressed, especially for something that is given as part of the package. And then there are the biometric security options. Personally, I did not like the placement of the fingerprint scanner. Placed off-centre at the back, it's hard to find and I initially found myself waiting for the thing to read my fingerprint several times until I realised that I had placed my finger on the camera lens. The iris scanner was more useful and the same can be said about the facial recognition feature. Oddly, both of these cannot be used together. So if the iris scanner is unable to see you in sunlight, you will have to reach out for the fingerprint reader or enter the pin. Between the two, the iris scanner, despite being unusable in bright sunlight, was quicker and reliable. When the S8 was placed flat on a table, I literally had to lift the smartphone to unlock it (to access the fingerprint reader) to check for notifications. Else my only option was to peek over my desk to show my face to unlock it, which felt abnormal. Indeed, all of these biometric features felt like an extra effort or an extra step, which could have been done away with had Samsung, simply placed a fingerprint reader on the front at the bottom chin. Ah! The price a user has to pay for good looks! The camera hardware on the Samsung Galaxy S8 is a bit similar to the stuff that we got on the S7 last year. The rear facing camera is still the same 12 MP f/1.7 aperture unit while the front facing camera gets an upgrade to an 8 MP f/1.7 aperture unit with autofocus. The interface is simple, functional and works well, no matter which mode you are in. Swipe to the right and you get your filters, swipe to the left and you get your camera modes and options. Swipe up or down to switch to selfie mode. Switch to the pro mode and you are covered, with enough controls to leave your SLR behind on your vacation. The photos taken using the rear camera look fantastic! Bright light, dim light, low light, the Samsung Galaxy S8’s camera gets it right every single time without going overboard. 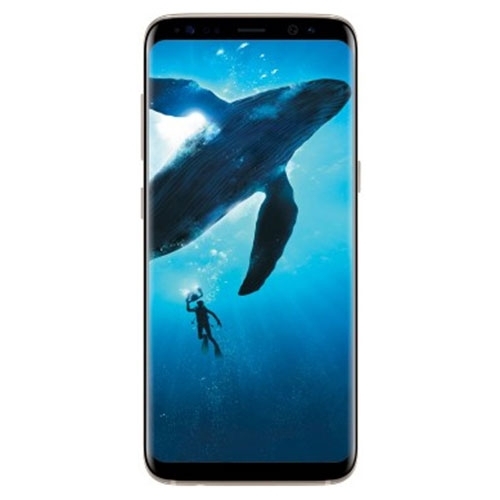 Click on the image below to have a look at our complete Samsung Galaxy S8 gallery. Starting off with the rear camera, it still works well. Capturing photos is almost instantaneous, with zero lag. The good part here is that the AF system (with the Dual Pixel sensor) keeps up (with my bouncing nephew) unlike most other flagships out there. Add to this mix the wide aperture and optical image stabilisation and I had no issues or complaints whatsoever while shooting in bright daylight or low light. The camera delivers a surprising amount of detail and sharpness. Colours were a tad bit saturated for my taste, but the results never failed to wow friends and family whenever I showed them my captures. Noise was well under control in daylight and even during low light photography. 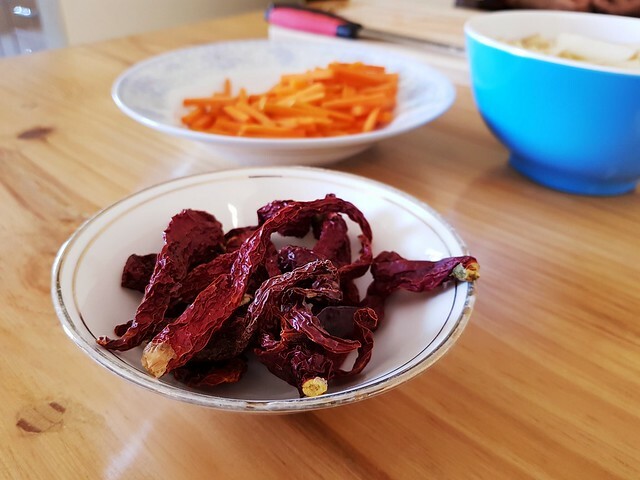 If you browse through the sample images in the embedded album above, you will be surprised to notice the level of detail this S8 is capable of capturing. In fact, it was so good that I rarely needed to switch to manual mode. But there were times when the aggressive noise filtering led to flat textures. However, this would happen in extreme low light scenarios. 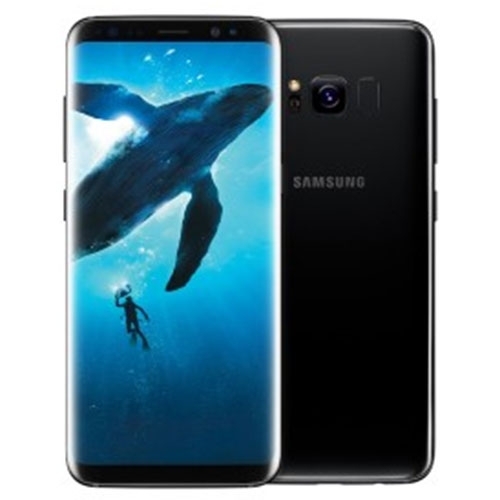 According to Samsung, the great image processing is thanks to the embedded memory on the image sensor, which takes multiple shots and combines them into one high-quality photo. Indeed, these would be similar to the Google Pixel. But unlike the Pixel, there’s plenty more out here in the manual mode that mobile photography enthusiasts would love to fidget with. Moving to the front facing camera, autofocus is now available. The images were not exactly mind blowing since I did notice some excessive highlights when shooting in bright scenarios. However, the camera was smart enough to figure out that the subject in the scene was more important and would adjust the metering accordingly, even if that meant killing some of the details and overexposing the background. There is also a Selective Focus mode (both front and rear camera) that does a decent job at producing images with increased depth of field that I ended up using frequently. While the presets were a bit limiting, a dual camera setup would have been a better idea. I also found the selfie camera hunting for focus in dimly lit scenarios. Low light selfies were decent, but I expected better considering the barrage of selfie-oriented smartphones available in the market. Video recording was brilliant. The handset delivered Full HD video at 60 fps without any hiccups and the output was stabilised as well. 4K video was breathtakingly beautiful, although not as great as the iPhone’s cinematic video captures. Slow motion footage was fun, and crystal clear, but it’s nothing new keeping last year’s performance in mind. In comparison to its predecessor, the S7 edge, it has done better. While colours still look saturated, it's the low light performance that has improved but by a small margin. This however, leads to clearer and noise free low light images. Packing in a 5.8-inch QHD+ display (with the Always On feature) and the most powerful chipset in the Android realm (at the moment), I was a bit worried as to how badly the handset would fare when it came to battery life. Yes, like everyone else, I sure had my doubts about the standard Galaxy S8 model with a 3,000 mAh battery. In fact, I was after Samsung to send in a Galaxy S8+ since it packed in a bigger 3,500 mAh battery to test out the difference. Sadly, the Samsung Galaxy S8+ did not arrive. The various power saving modes on the Galaxy S8. Charging using the Samsung’s fast charger was pretty quick. The phone charges up from 0-45 percent in the first half an hour and will then slow down (for all the right reasons) to fill up the battery to 100 percent in a little over an hour. Total charge time upon plugging in from 0 percent was always 1 hour 36 minutes and it was never less nor more. In short, Samsung, after a good lesson with the Note 7 now knows its batteries a little too well, and that's very welcome. Using our standard PC Mark battery tests I was surprised to see that the Work battery life test results was almost the same as last year’s S7 edge. This is a good thing, and indeed is one area where the new 10 nm Exynos 8895 shines, because it managed to deliver the same battery life with a much larger display. Switching to a lower display resolution (not the power saving mode) delivered an additional 1.5 hours of battery life, which means that Samsung’s power saving ideas do work and are by no means gimmicks. Switching on the various power saver modes will deliver between 1.5-3 hours more depending on the mode chosen. The Samsung Galaxy S8 is a supermodel, but it does not come without its diva act. I loved the new design, but it does feel as accident prone as last year's glass body. The Infinity display is stunning, but it does eat away into your screen's real estate. The software has gotten an overhaul, but it still bogs down the system to an extent. Then there an unfinished Bixby, one that not only takes up your left swipe on the homescreen, but also adds an extra button. But What has Samsung left out this year? Well, frankly speaking, nothing! That's because the company has over delivered when compared to the rest of the Android competition. So who should buy one? Those looking to upgrade from a Samsung Galaxy S6/S6 edge should give the Galaxy S8 a look. It’s the evolution of the design and will definitely appeal to your tastes. Galaxy S7 edge owners? Not really. Unless you are desperately looking to upgrade to something new. Then again, given Samsung's crippling software updates, you probably are. Looking to switch from an iPhone? Well, you could, provided you are ok with slower software updates. Else the Google Pixel XL is a better choice. Out in the market and looking for something that will get you noticed? Well, the Galaxy S8 (in Maple Gold) is your daily fashion accessory and will get you a lot of attention. At Rs 57,900 and keeping Apple’s skyrocketing price tags in mind, Samsung sure has a winner here. It offers something new with both hardware and design and the camera is fantastic.The Infinity display is a winner and it makes every iPhone model out there look like a relic. In short, there is currently no other Android smartphone offering that even comes close. If you love Android and you can shell out the cash, I cannot think of a single reason why you should not head into a store and buy one right now. The Samsung Galaxy S8 features a 5.8-inch QHD+ Super AMOLED display with a resolution of 2960 x 1440 pixels and is powered by a 2.35GHz + 1.7GHz octa Core processor and has 4GB of RAM. It comes with 64GB of inbuilt storage, expandable upto 256GB and has a 12.0-megapixel rear camera and 8.0-megapixel front camera. It comes with Android 7.0 Nougat OS and support a 3000mAh battery capacity with 3G & 4G.